For many, Florida’s Sun & Fun fly-in announces the commencement of flying season in every new year. A better transition from one flying year to the next is the National Aeronautic Association’s springtime announcement of the previous year’s most memorable aviation records. What makes them so eagerly anticipated are the unpredictability of their number and the focus of their accomplishments. Perhaps more importantly, they highlight the rewarding diversity aviation bestows on those who invest their lives in it. There is no better example of this than The Most Memorable Aviation Records of 2018. The first two memorable records cover the spectrum of fixed-wing aviation, the speed of a glider over a 500-kilometer out-and-back course—158.3 mph—and the speed of a business jet—631.80 mph—over a recognized course, Seville, Spain, to Abu Dhabi, UAE. And how did I not hear about Daniel Gray setting a new C-1b time-to-climb record in a Harmon Rocket IIA powered by a 650-hp rotary engine? From a standing start in Oxnard, California, he needed less than 100 seconds to reach 3,000 meters, or 9,843 feet, and beat Elliot Seguin’s old record of 1 minute, 59.5 seconds. Google provided just two stories on the record, one a post on Van’s Air Force, and another on Digrantrara.com, which revealed at the end of the page, that it had copied from Air&Space (and I wonder why Google didn’t lead me to this story in the first place). This effort is certainly on my learn-more list. Who would have imagined a new record powered by a twin-rotor Mazda rotary engine mated to the tail rotor drive of a Bell 47 helicopter? The absolute altitude record of 74,334 feet the engineless Perlan 2 set last September over Argentina didn’t slip by me. One wonders, will be 2019 be the year this record-setting glider achieves its 100,000-foot goal? It is this unpredictability that makes each spring’s record announcements like Christmas (either early or late, depending on your predilection). Learning that there exists a record Class G-2 for vertical formation skydiving is much better than getting a pair of racy socks. And how do you measure the preparation and discipline it takes for 42 jumpers to rearrange themselves in four sequential formations while falling to earth head down? What Was AirVenture’s Most Interesting Airplane? 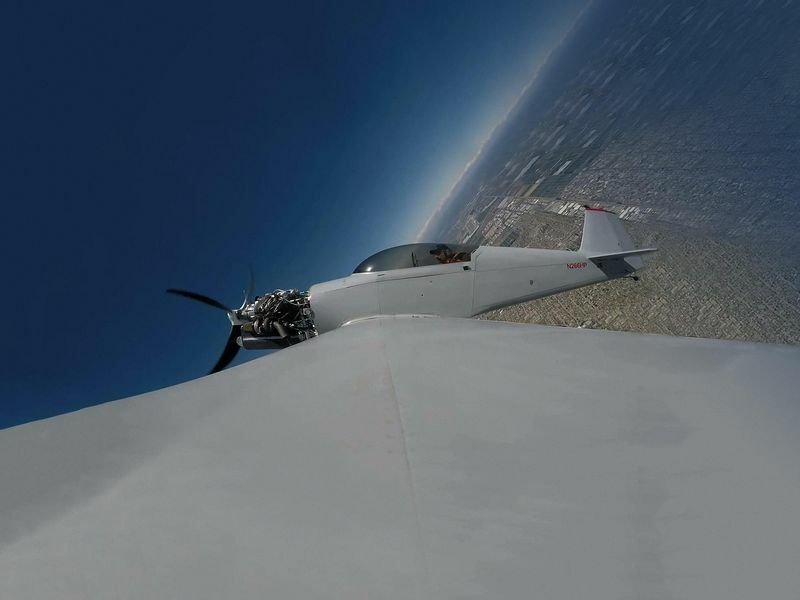 This entry was posted on Monday, April 8th, 2019 at 8:00 am	and is filed under Aerospace, Aviation Education, Education, sport aviation. You can follow any responses to this entry through the RSS 2.0 feed. You can leave a response, or trackback from your own site.